Dallas native and platinum-selling songwriter Dorrough Music has been a fan of the Mavs for years. When his favorite NBA team made it back to the finals, he knew he had to do something great to help celebrate. "It's crazy, because I had a couple of singles in the past, you know -- 'Ice Cream Paint Job' and 'Get Big' -- and sometimes I be watching the game and I hear them playing that song -- so it gets me amped up," Dorrough Music said. He decided the team needed some new theme music to go along with their winning streak. 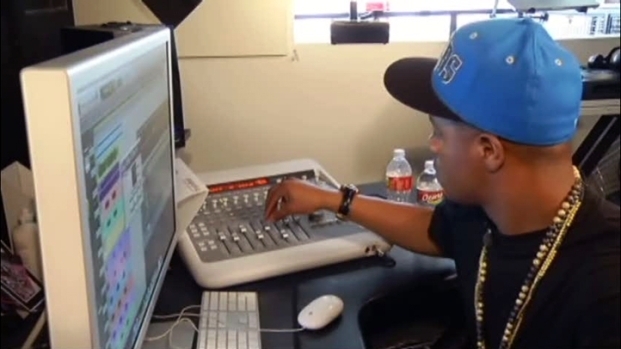 He remixed his new single, "Bounce Dat" into a Dallas Mavericks anthem in hopes that it would inspire the team. Mavs fan Dorrough Music remixes his new single just in time to pump up Dallas during the NBA Finals. So far, the song has gotten a lot of radio play. Now he just hopes that the team's winning streak combined with his musical success equals a winning combination. More importantly, he would like to see his song played as the Dallas Mavericks get named NBA champs.